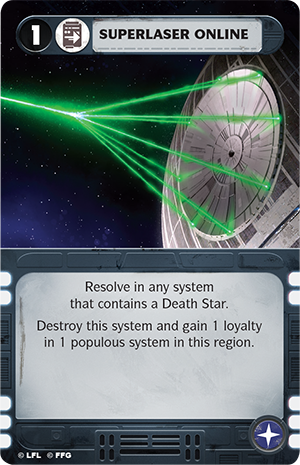 Welcome to our final Rebellion Week preview of Star Wars™: Rebellion! Over the past several days, we delved into the different phases of Star Wars: Rebellion, looked at many of its mechanics, and reflected on how they simultaneously convey the heroics and grandeur of the Star Wars universe. However, even though we have hinted at some of the different asymmetries in the game, we have not yet truly given the game's asymmetry the attention it deserves. After all, the Galactic Civil War that we see in the classic Star Wars trilogy is not a balanced fight. Far from it. The Galactic Empire enters the war with nearly every possible advantage. Its military boasts countless troops, ships, and pilots, and then it adds to these the unmatched firepower of its Star Destroyers and AT-AT Walkers. Where the Rebel Alliance has a secret base, the Empire has a weapon that can blow it up in an instant—along with the entire planet that houses it. By contrast, the Rebel Alliance starts as less than an underdog; it begins as a mere blip. Even by the time of A New Hope, General Tagge appears like a worrisome pessimist as he addresses the threat that the Rebels pose. His worries about the Rebel Alliance's increasing strength are met with disdain by Admiral Motti and summarily dismissed by Darth Vader and Grand Moff Tarkin. 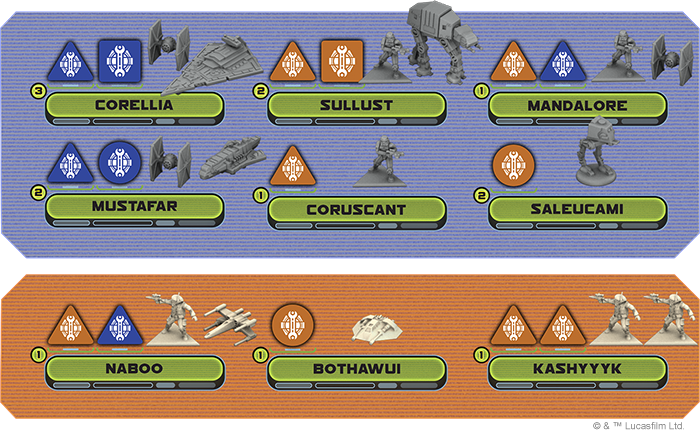 It is in the spirit of this extreme disparity between their strengths that we explore more of the differences between the Galactic Empire and Rebel Alliance in Star Wars: Rebellion. "Your friends up there on the Sanctuary Moon are walking into a trap. As is your Rebel fleet! It was I who allowed the Alliance to know the location of the shield generator. It is quite safe from your pitiful little band. An entire legion of my best troops awaits them." While it is entirely possible you may not feel the disparity between the two sides until you sit down to your first game, the thrill that you take away from setup as the Imperial player—or the punch in the gut that you will suffer as the Rebel—is an important part of the game's drama. Suddenly, it becomes clear that the Rebels are not about to win by conquering the galaxy; they can only hope that the galaxy will rise to support their fight for freedom. To help illustrate the point—and to begin conveying a bit of the game's astonishing narrative arc – we have created a few helpful diagrams. The Empire's military is not only larger than the Rebel Alliance's, it is also stronger. The Rebels simply have no counter to the firepower the Imperials gain from their Star Destroyers, AT-AT Walkers, and Death Star. NOTE: These starting positions are for the basic game. Games that use the advanced rules will feature the same number of systems, though the locations of your starting systems will likely change. Systems loyal to the Rebel Alliance are shown in red. Systems loyal to the Galactic Empire or subjugated by it are shown in blue. 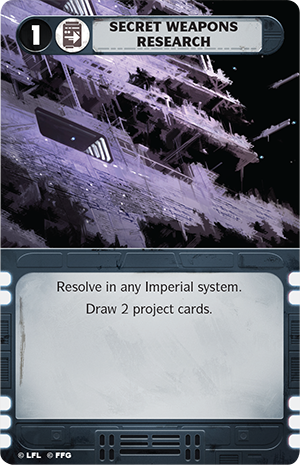 These first two diagrams help to illustrate the tremendous military advantage the Empire enjoys at the game's outset. However, you should not mistake this focus on the Empire's early advantage as a suggestion that the Rebels are bound to catch up. In fact, the truth is that they are more likely than not to fall further behind in the production of additional military units. 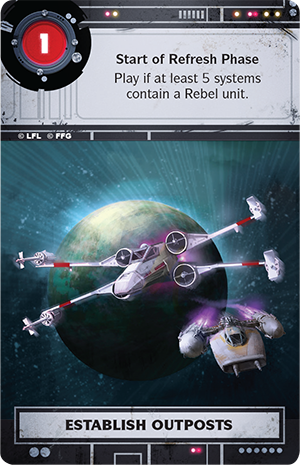 The Empire begins not only with superior military might and more systems at its command, but those systems come with resources that will also push it even further ahead of the Rebel Alliance – unless the Rebels can find some way to sabotage the Imperial build yards. "We’ve learned that the Emperor himself is personally overseeing the final stages of the construction of this Death Star." 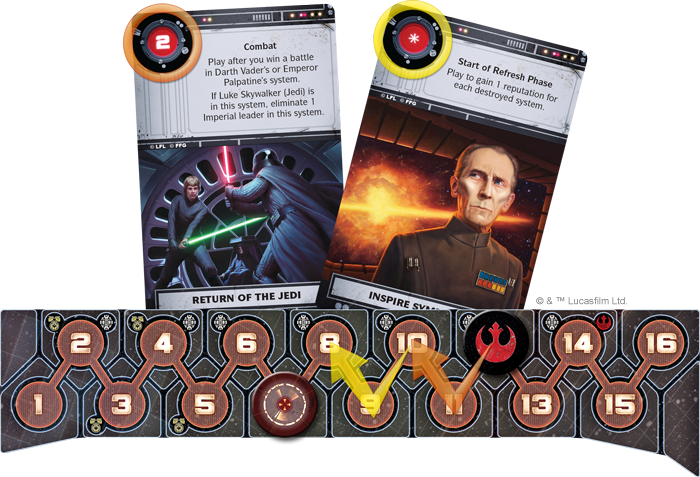 Of course, your starting units, positions, and resources are only the beginning of the stories you will weave over the course of your games of Star Wars: Rebellion. Still, in many ways, they set the tone for the action that will follow. 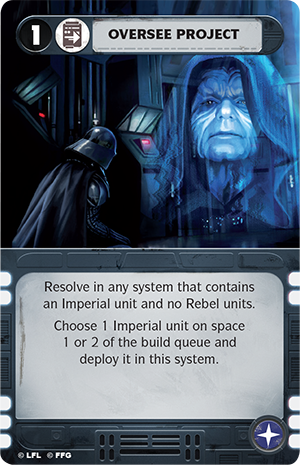 One of the ways that you can take advantage of your starting advantages as the Imperial player is to build upon them. You can mobilize your military aggressively to subjugate new systems, you can attack Rebel worlds to shut down Rebel resources, and you can attempt a special subset of missions that belong only to the Empire – your projects. 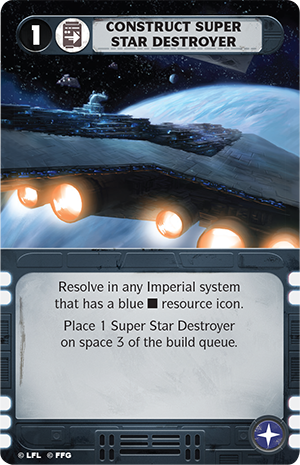 The Empire's projects are mission cards that feature a blue and white projects icon in their lower right corner, require the logistics icon, and "resolve" automatically, denying the Rebels the opportunity to oppose them. Moreover, the majority of these special missions relate to the creation or activation of powerful weapons, including both the Super Star Destroyer and the Empire's signature Death Star. Oversee Project not only accelerates the deployment of your units in the build queue, but allows you to take advantage of them in the same Command phase. Construct Super Star Destroyer allows you to start building a powerful starship that can annihiliate enemy ships with its two black dice and three red dice. 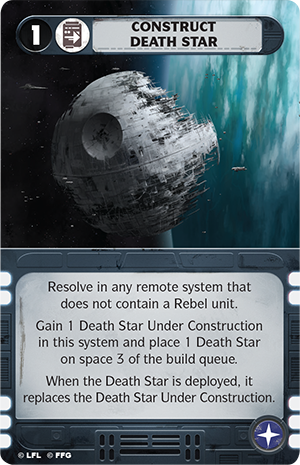 Construct Death Star grants you the ability to replace a Death Star that the Rebels might have destroyed… or to terrorize the galaxy with two. 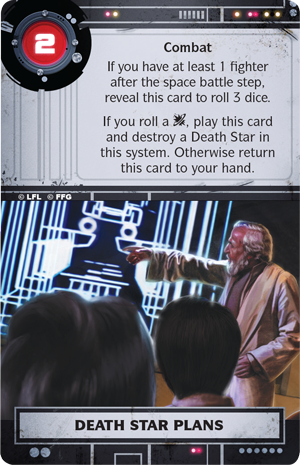 Either one can punch holes through enemy ships with four red dice, but if you bring the Superlaser Online , your Death Star can actually blast straight through a whole planet! 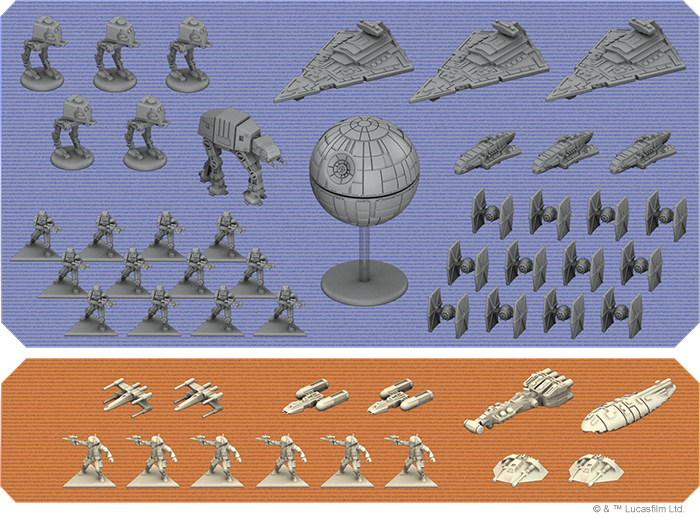 By completing these projects as the Imperial player, you extend your military strength. 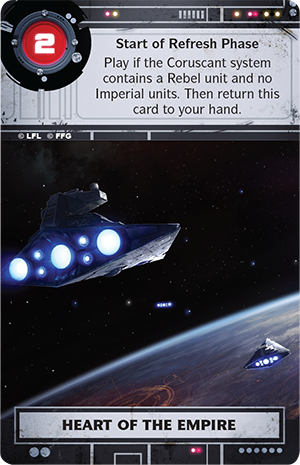 That may not win you the game directly, but it puts you in a much stronger position to move through the systems and land your troops as you scour the galaxy for the hidden Rebel base. Accordingly, you will want to decide how much you wish to emphasize your development of these technologies; the sooner you begin your work on any of them, the more impactful they will be over the course of your game. If you decide to commit heavily to your projects, you will want to resolve your Research and Development mission early and often. Along with two copies of the non-basic mission Secret Weapons Research , Research and Development is the only way for you to access your projects and all the possibilities they permit you. As the Rebel player, you should by now be wondering how in the name of the Force you are supposed to topple an Empire whose military might so dramatically dwarfs your own. The answer is that you cannot. In Star Wars: Rebellion, the Rebel player never truly wins the Galactic Civil War. Instead, you aim to rally the rest of the galaxy to join you in your fight. If you succeed, you do not win the war immediately, but you turn the tide decisively in your favor. As a result, of your fifteen objective cards, roughly half reward you for simply establishing a presence. So long as they resist the Empire, your leaders, your units, and the planets that are loyal to your cause represent a new hope for the oppressed, and your objectives reflect the support they earn you throughout the galaxy. If you can keep your units alive at five or more systems, you can Establish Outposts that earn you a step toward victory. 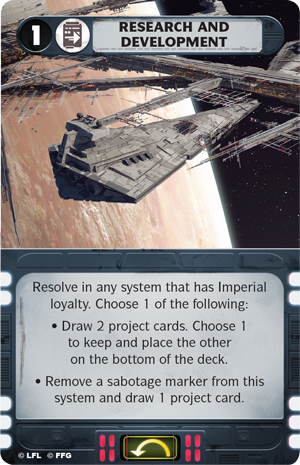 If you can place your sabotage markers or your units at three or more systems to deny the Imperials their resources, the galaxy will recognize your ability to Cut Supply Lines , and it may begin to hope the Empire can still be defeated. And if you can accomplish the truly outlandish feat of wresting Coruscant free from Imperial control – even temporarily – your cut into the Heart of the Empire will resonate through the populated systems, and you will leap a couple of steps forward in your effort. 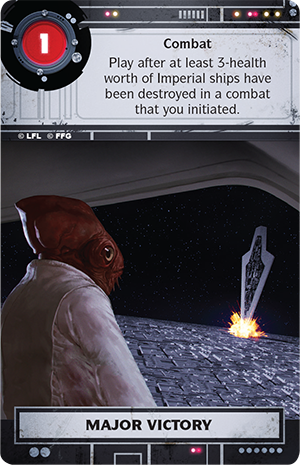 Of course, you may very likely need to win a battle or two to seize control of a system like Coruscant, and your military accomplishments – even in defeat – constitute almost all the rest of your objectives. We have already seen how the Rebel Alliance can analyze the Death Star Plans and find a way to destroy the Empire's greatest technological terror, but it is worth noting that if it can do so, it will inspire countless measures of hope among those who had long since abandoned hope. Even if your fleet suffers terrible losses in battle, if you expose the Empire's weaknesses to those hesitant to lend you their aid, you may score your effort as a Major Victory in the larger war. 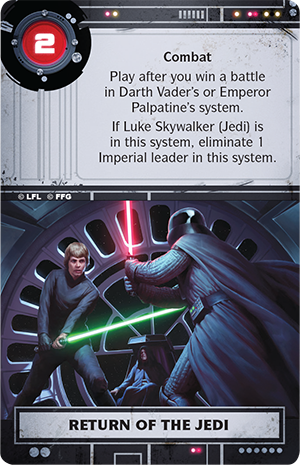 Finally, in keeping with the game's ability to balance the sweeping nature of the Galactic Civil War with the heroic efforts of a few iconic characters, you can strike directly at the Empire's leadership with Return of the Jedi . If you succeed, you strike the Empire a major blow, and if you succeed with the Jedi version of Luke Skywalker, that blow can even result in the permanent loss of one of the Empire's leaders. 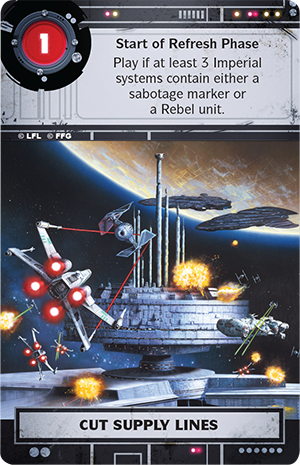 As the Rebel player, there is almost zero chance that you can withstand Imperial bombardment long enough to win the game without accomplishing any of your objectives, so it is imperative that you incorporate them into your strategy. However, there is room to play around with how you use them. Will you score your objectives immediately, one by one, as soon as you can? In this way, you avoid any chance that you let a valuable opportunity slip away from you, but it also makes your efforts slightly more predictable. You advance your cause in smaller increments, granting the Imperial player time to wake up to the threat. Alternatively, you can build toward a time at which you can swing the momentum hard in your favor by scoring a pair of powerful objectives in the same round – one during combat and one in the Refresh phase. It may be harder to pull off, but such an approach may allow you to catch the Imperial player completely off-guard. Whereas he may have thought he had three or four rounds to find your base, if you can score a pair of big objectives, you can suddenly cut that timer down to one final round. After Elaine, playing as the Rebels, scores Return of the Jedi to gain two reputation during the Command phase, she turns the Empire's strength against it in the Refresh phase, scoring Inspire Sympathy to advance her reputation marker another two spaces for the two systems Karl's Imperials previously obliterated. 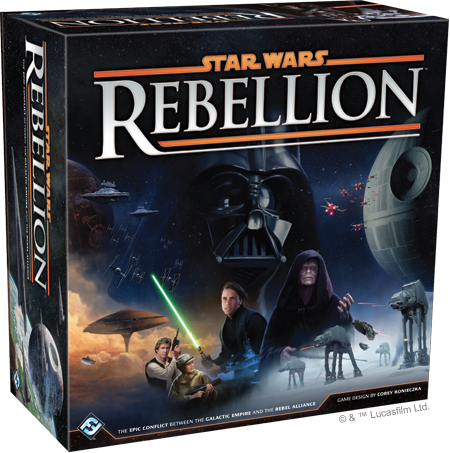 Your enjoyment of Star Wars: Rebellion does not end with Rebellion Week. This is only the beginning. We have more previews coming, including a look at the game's emerging narrative written by its creators, Corey Konieczka and Steven Kimball. If you love Star Wars and board games, this is the game you're looking for! Make sure you don't miss out. Talk to your local retailer to pre-order your copy today!